Lorenzo Thomas wrote his “Two One-Act Plays” in 1964, the same year that witnessed the explosive Cherry Lane Theater production of Baraka’s Dutchman. Baraka, then still known as LeRoi Jones, had been in a playwright’s workshop with Edward Albee, whose Zoo Story had been produced in America just four years earlier on a bill with Beckett’s Krapp’s Last Tape. Only eight years had passed since the Coconut Grove, Florida, American premiere of Waiting for Godot, featuring well-known screen actors Tom Ewell and Bert (cowardly lion) Lahr. It was a time of great ferment in theater; a time when that ferment achieved a level of what Baraka was to term populist modernism. Lahr even appeared on a popular television game show in the wake of his Godot appearance. A very young Lorenzo Thomas was taking all this in. Lorraine Hansberry’s A Raisin in the Sun had been the first Broadway play written by a black woman, and the first directed by an African American, and that had only come to pass in 1959. In 1961, Saint Marks Playhouse opened their production of Jean Genet’s The Blacks, a production that gave a tremendous boost to the careers of Roscoe Lee Browne, Lou Gossett, Jr., Cicely Tyson, James Earl Jones, Maya Angelou, Charles Gordone, Godfrey Cambridge and Moses Gunn. 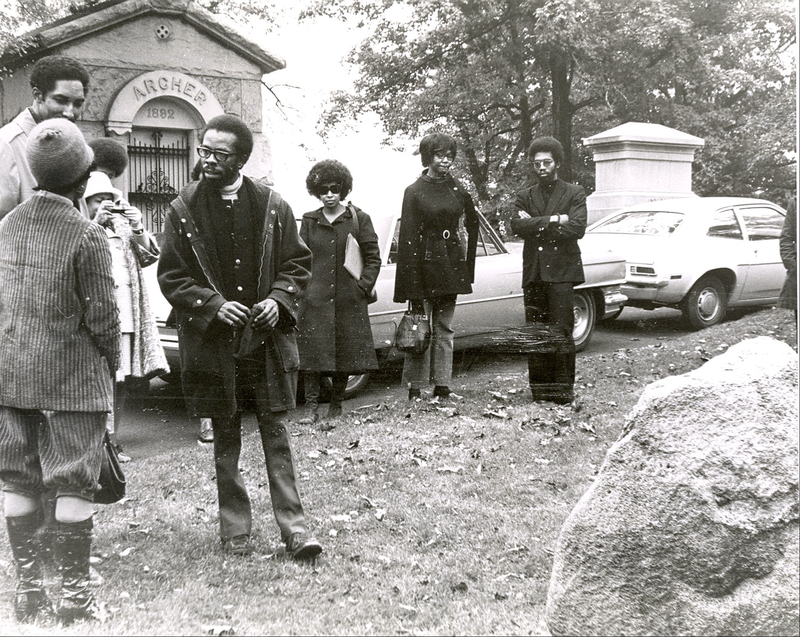 Cambridge would marry Barbara Ann Teer, who went on to found Harlem’s National Black Theater. It was this potent mixture of experimental theater and black theatrical talent that gave us a Black Arts Movement in the late 1960s led by poet/playwrights like Amiri Baraka, Sonia Sanchez and Larry Neal. It was a moment when even the commercial theater was given to experiment, and something like Marat/Sade, with its near-assault on the audience, could become an international hit. And Thomas’s colleagues in the Umbra Poets Workshop were part of all of this. Both Lloyd Addison and Oliver Pitcher were writing plays. Poets’ theater was very much a part of the conversation among these writers, and the ritualistic aspect of much of the drama being staged found its immediate expression in the Black Arts Movement in such plays as Baraka’s A Black Masque Humor, too, was an essential part of the equation, perhaps most scathingly exemplified by Baraka’s Jello and Sidney Poet Heroical. “Two One-Act Plays” is young Lorenzo Thomas at his most bitingly satirical. In introducing one of his early poems that he liked to read even years later, he elaborated a purported motivation. Having surveyed the rather short list of black poets getting into print, he reported, he found that most of them were African poets writing surrealist poetry in French badly translated into yet more surreal English; so he set out to write a poem that would sound like those more successful and published poets. The poem itself was far more than that, though, and “Two One-Act Plays” is far more than a send-up of plays like The Blacks or even The Brig.